Barclays said Tuesday that the crypto craze has clear parallels to the spread of infectious disease. The bank made a model of a theoretical speculative asset based on the techniques epidemiologists use to track diseases. Bitcoin’s actual price history shows plenty of similarities to the model’s predictions. Bitcoin’s peak price may also have passed, the bank said. You can track the price of bitcoin in real-time here. The crypto craze that swept the world this past winter spread much like epidemiologists would expect an infectious disease to circulate, according to new research from Barclays. Analysts at the bank made a model of a theoretical speculative asset based on the types of models epidemiologists use to track diseases. 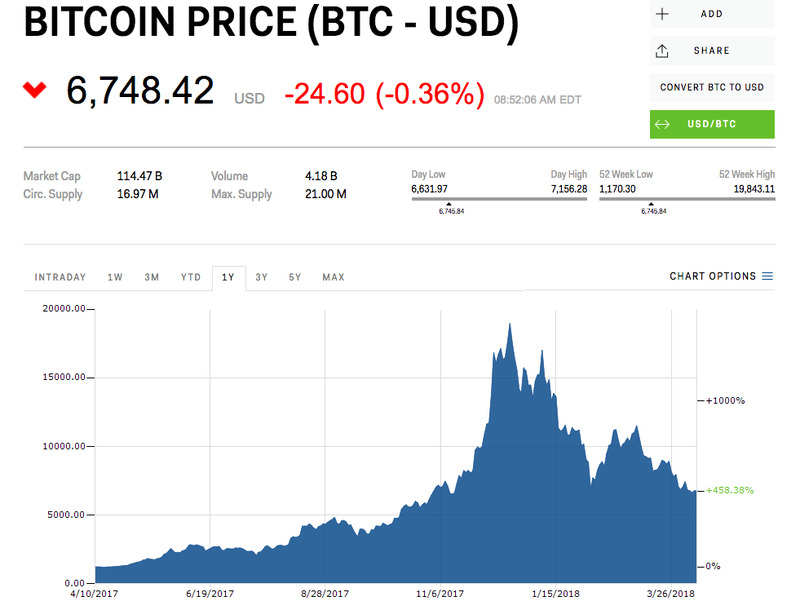 The analysts compared the model’s predictions to bitcoin’s actual price swings over the past seven years to see how bitcoin’s path may play out in the future – and the results are shockingly similar. Since the beginning of 2018, cryptocurrency prices across the board have taken a dramatic turn from their astronomical rise in the previous year. The price of bitcoin, still far and away the flagship cryptocurrency, has been cut in half in just three months. Historically, bitcoin price records – and crashes – have been followed by even higher prices, but this time might be different. “Unlike past peaks in Bitcoin prices, the survey evidence, based on our modelling, suggests that the speculative bubble in crypto currencies may have passed its peak,” said Barclays.